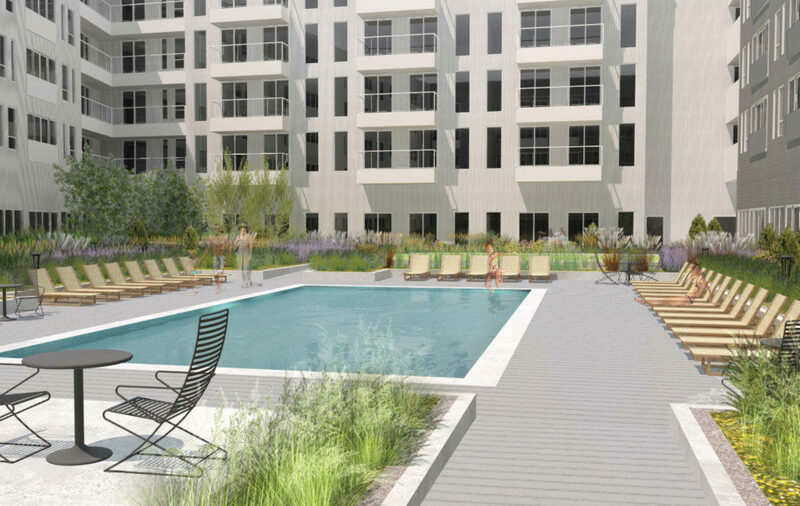 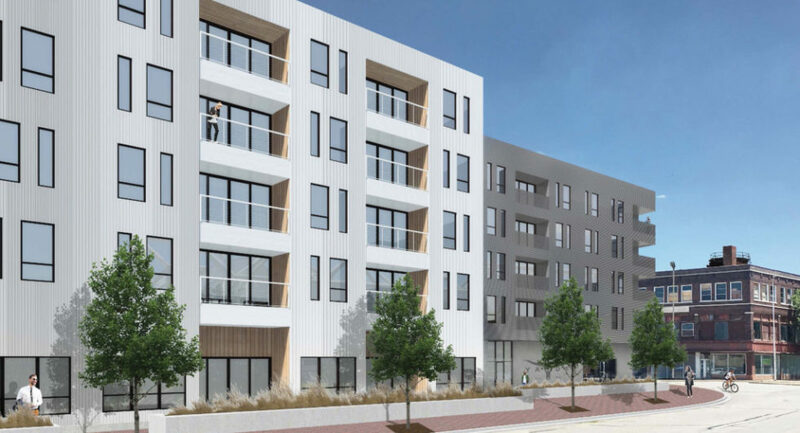 The Yards is a $26.7 million mixed-use project and will feature 232 luxury apartments, 5,500+ square feet of retail and a 325-space parking garage. 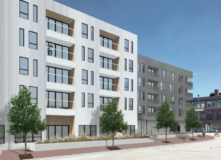 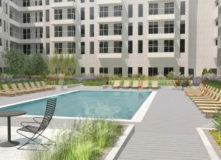 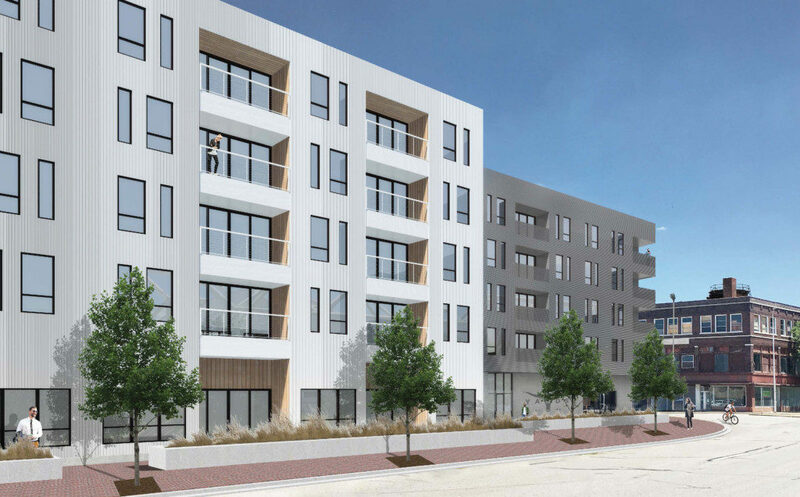 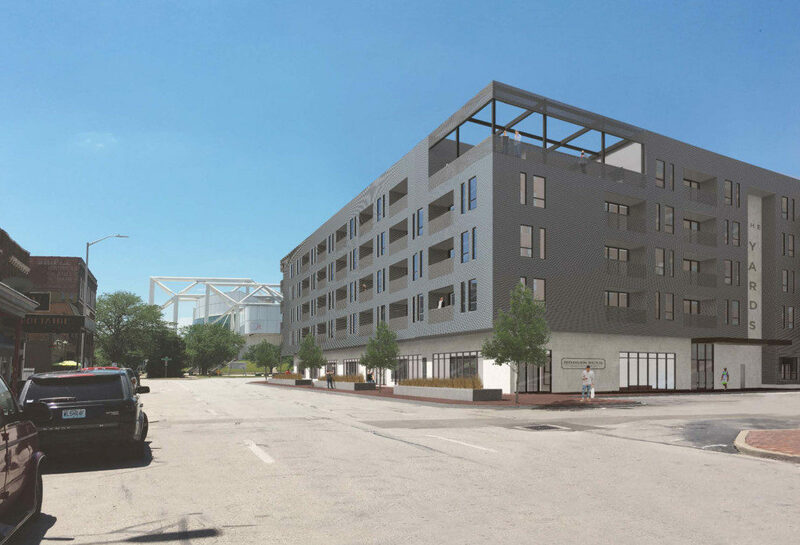 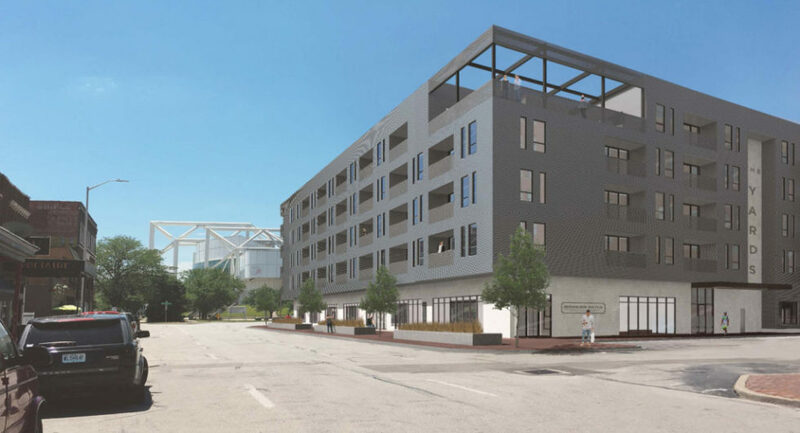 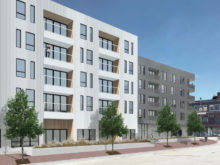 Comprised of studios, 1 and 2-bedroom apartment homes, The Yards will be the first large-scale residential project in the District that shaped Kansas City, The Stockyards in West Bottoms. 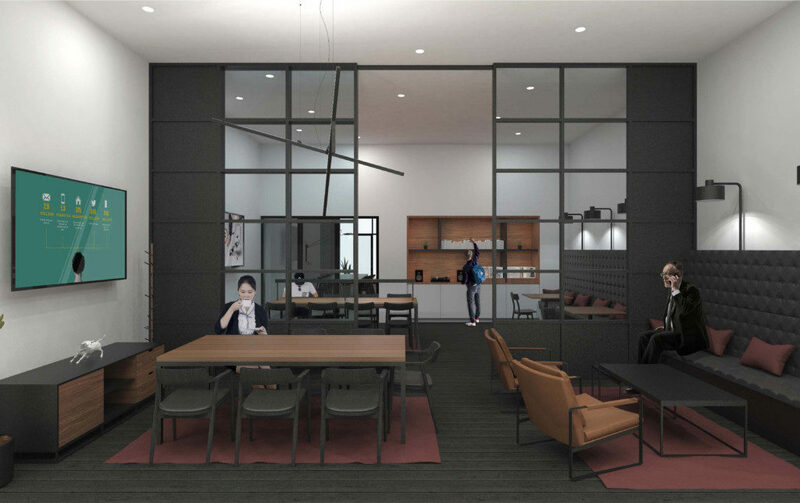 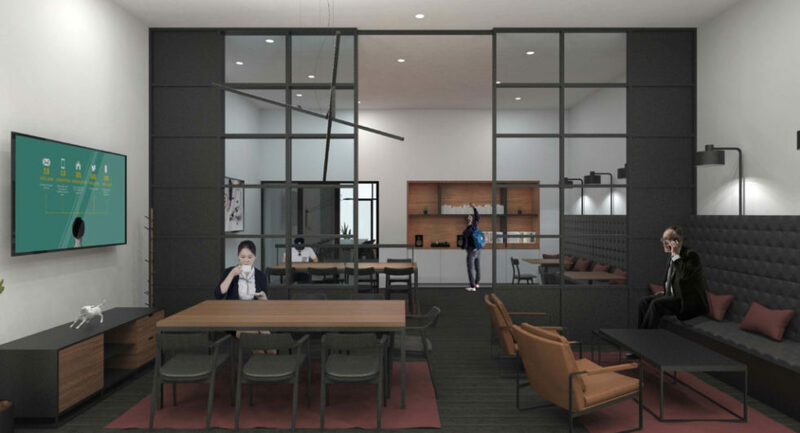 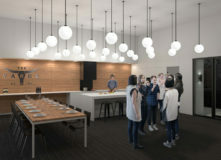 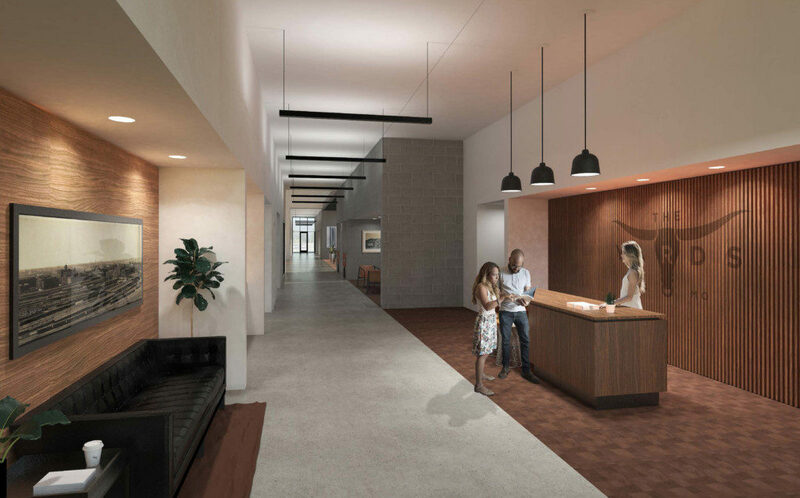 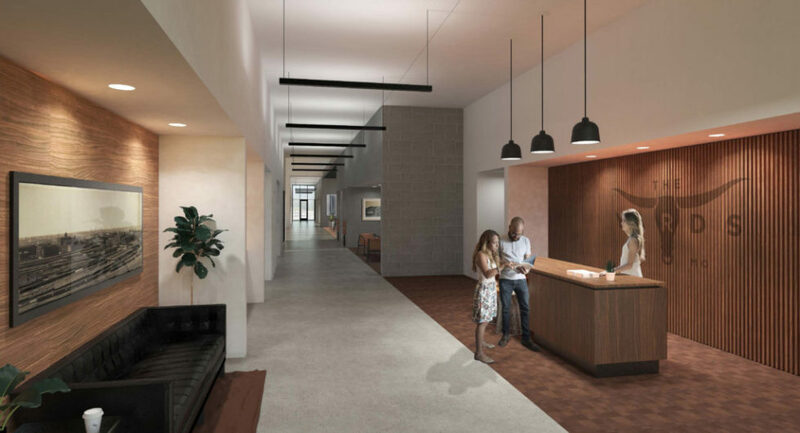 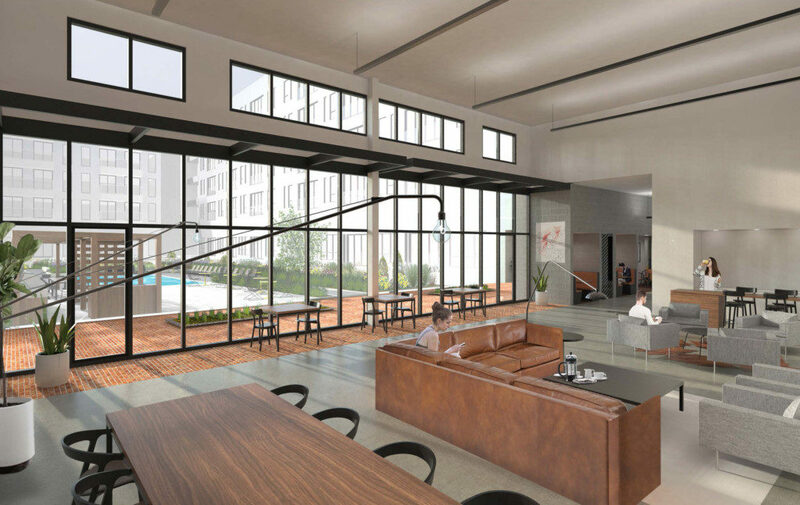 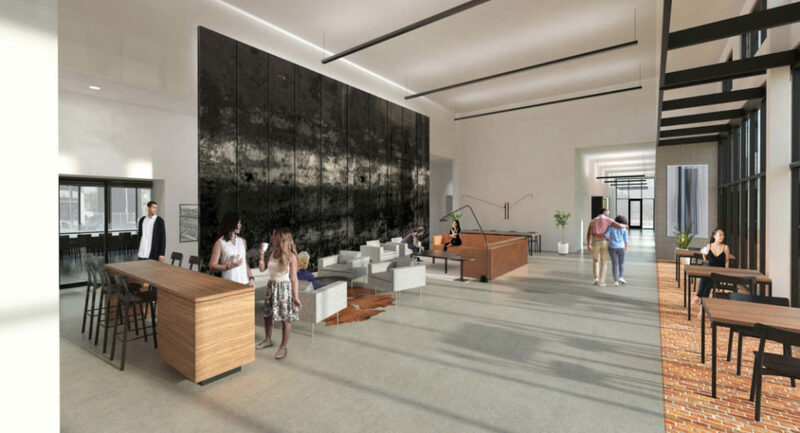 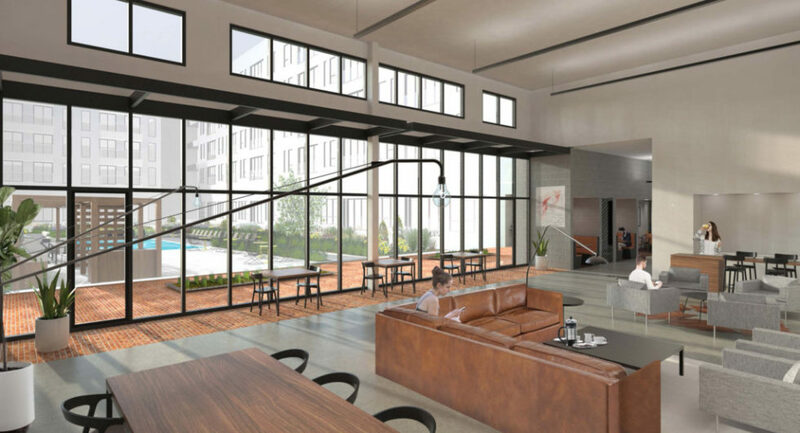 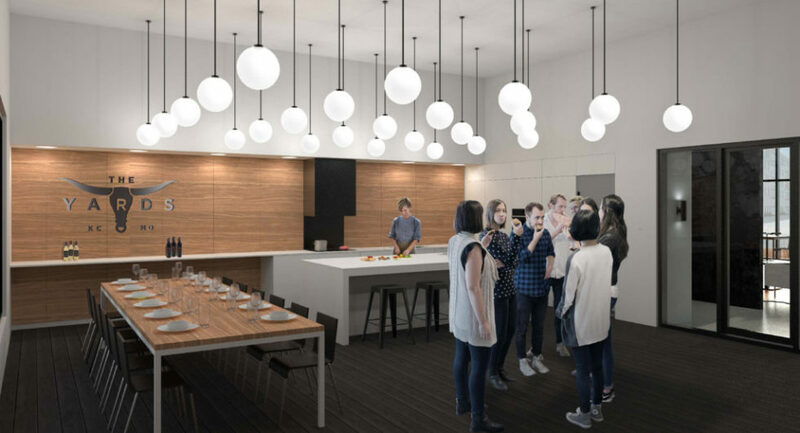 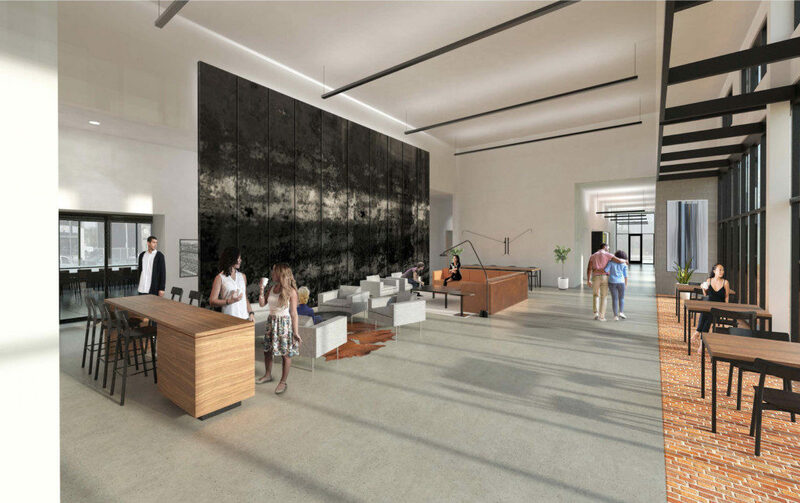 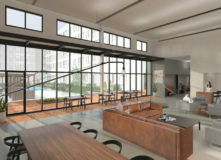 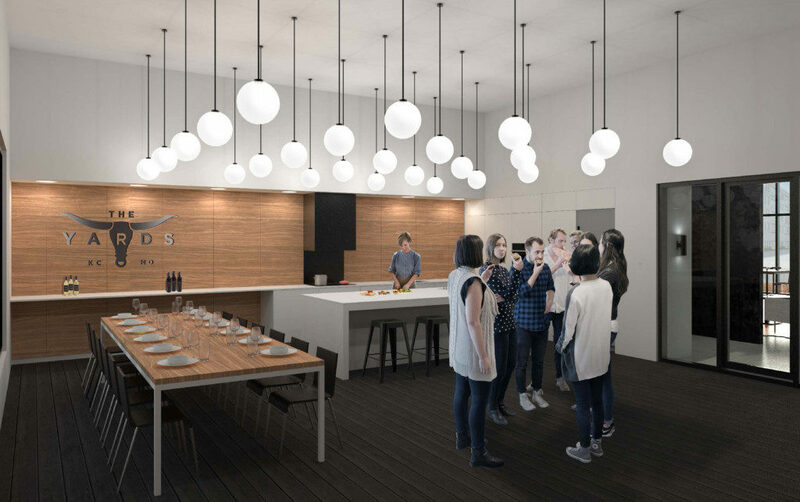 There will be approximately 8,000 square feet of first floor “storefront” amenity space, which will be wireless throughout and will include a state of the art fitness center, lounge with commercial grade coffee service, game & leisure room, and leasing office. 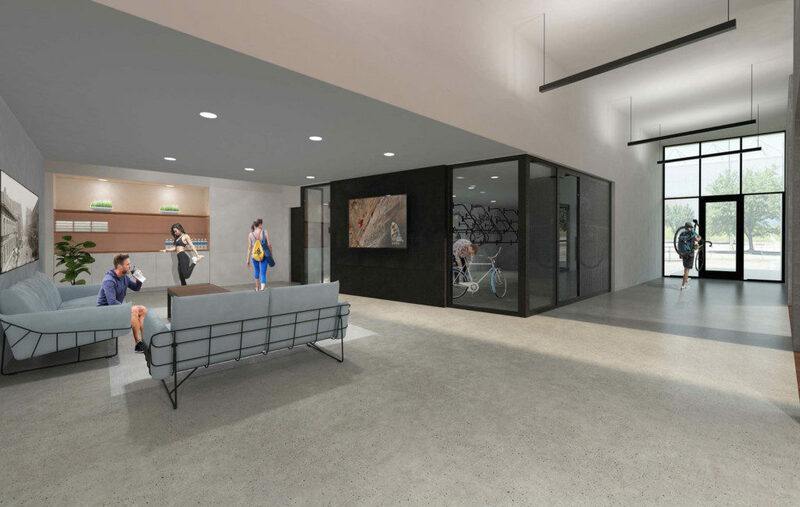 The project will also have a “Bike Shop”, which will have bike repair tools and premium bike storage. 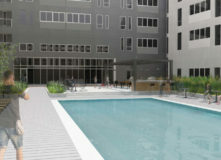 A resort style pool, swim up bar, outdoor TVs, wet deck, and an “outdoor living room” inclusive of fire pits, commercial grade grills (& BBQ Smoker), and outdoor furniture. 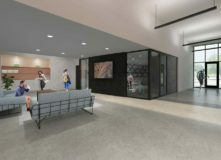 A dog walk and grooming area will also be part of the project. 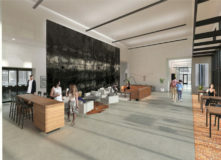 Apartments will showcase 9-foot and & 10-foot ceilings, luxury wood-style flooring in kitchens, 42-inch cabinets, quartz countertops in kitchens, patios/balconies, spacious showers (and select units with soaking tubs) upgraded carpet in bedrooms, front load washer/ dryer, microwave oven, dishwasher, garbage disposal and double-door, frost-free refrigerators, pendant and decorative track lighting (kitchens), over-sized windows. 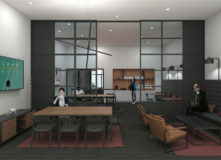 Units will also have Nest(R) Thermostats, LED lighting and access to Google Fiber. 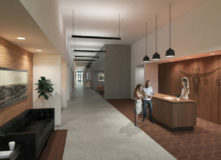 Select units will have an upgraded kitchen with an upgraded appliance package and other features. 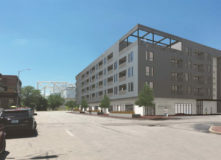 The site is located adjacent to the Existing Stockyards Exchange Office building to the north and bounded by Genessee Street to the East, American Royal Drive to the South, and the city owned parking garage to the west. 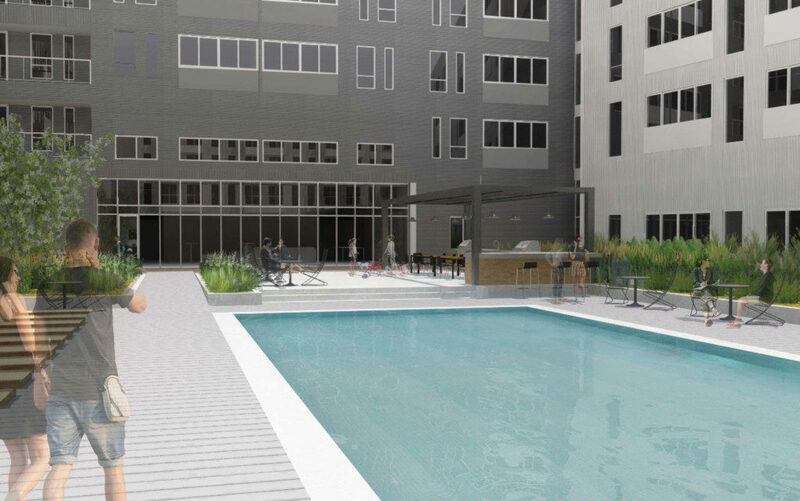 An Insider’s Guide to Kansas City – WSJ.